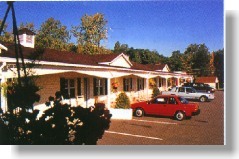 At the Longhouse Lodge Motel you are offered spacious and comfortable rooms, with king sized or double beds, in-room phones (Sprint long distance), color TV. 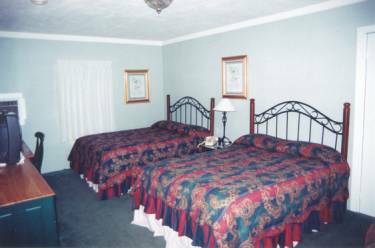 Deluxe rooms have VCRs (with free movies from our extensive collection) refrigerators and microwave ovens. Front door parking, individually controlled heat and air conditioning, infra-red lamps, daily maid service and continental breakfast during our in season (May 1st- Nov 1st), included with all rooms. 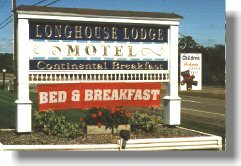 Just minutes from local sites and attractions, The Longhouse Lodge Motel offers unparalleled comfort and luxury while being right on the beaten path. 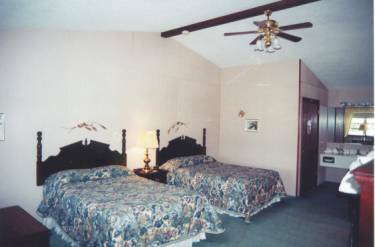 We have a fully equipped handicapped room with a wheelchair accessible shower!